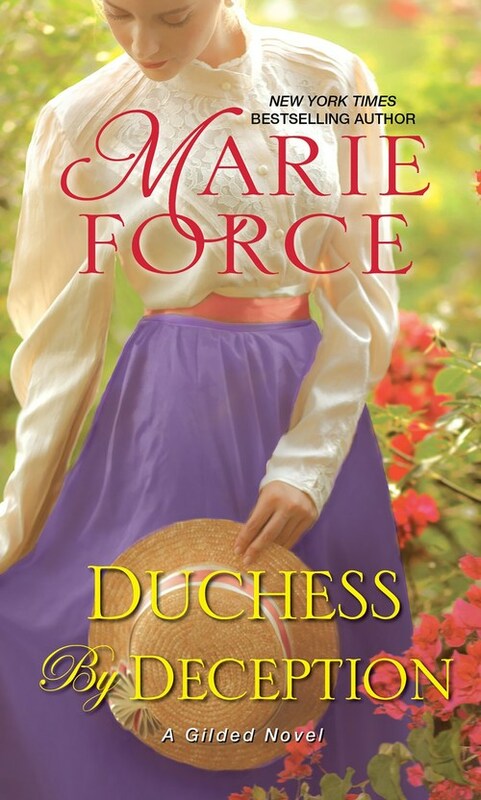 In New York Times bestselling author Marie Force�s dazzling historical romance debut, the clock is ticking for a wealthy Duke who must marry by his thirtieth birthday�or lose his title . . .
Derek Eagan, the dashing Duke of Westwood, is well aware of his looming deadline. But weary of tiresome debutantes, he seeks a respite at his country home in Essex�and encounters a man digging on his property. Except he�s not a man. He�s a very lovely woman. Who suddenly faints at his feet. Catherine McCabe�s disdain for the aristocracy has already led her to flee an arranged marriage with a boorish Viscount. The last thing she wants is to be waylaid in a Duke�s home. Yet, she is compelled to stay by the handsome, thoughtful man who introduces himself as the Duke�s estate manager. Derek realizes two things immediately: he is captivated by her delicate beauty, and to figure out what she was up to, Catherine must not know he is the Duke. But as they fall passionately in love, Derek�s lie spins out of control. Will their bond survive his deception, not to mention the scorned Viscount�s pursuit? Most important, can Catherine fall in love all over again�this time with the Duke?